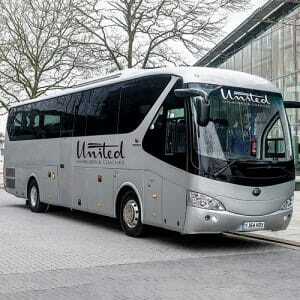 Looking For Coach Hire Brighton? Do you want to find the best coach hire, Brightonhas to offer? 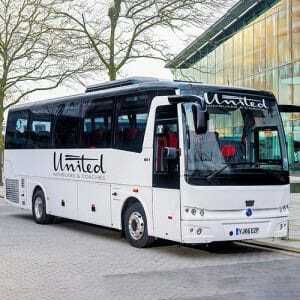 Then United Minibuses and Coaches will be a top choice for you. 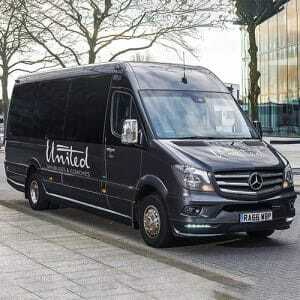 Our luxury coach hire in Brightonservice is your best option to travel around the local area so whether you need to get to the airport on time, want to arrange reliable transportation for wedding guests or want a trouble-free day or night out with friends or family, our Brighton minibus hire with driveris also a service at your disposal. Why Choose Our Low CostCoach Hire? If you’re travelling around the Brighton area with friends or family and want a stress-free, reliable and convenient way to get from A to B, United Minibuses and Coaches should be your first port of call. We have a stylish and modern fleet of vehicles in a range of sizes to suit your whole party. Every journey is incredibly comfortable when you choose our service. You’ll benefit from DVD and CD players that will keep you entertained, climate control and reclining seats for complete comfort and seatbelts and CCTV for your peace of mind. Whether you need a 24 seater minibusfor a smaller group or a 57 seater coach for a large party, we have the ideal vehicle for you. Whether you’re travelling within the Brighton area or heading further afield, United Minibuses and Coaches can provide you with the high-quality service you need. If you’re heading out for a wild night with friends, you can rent a coach bus and driverfrom us and eliminate any worries about having a designated driver. If you’re going to Gatwick airport for your flight, you can save on the cost of expensive airport parking and get your holiday off to a relaxing start when you book our coach.Maybe you and your family are going to one of the best local attractions and are looking for a convenient and simple way for everyone to get there together in style? 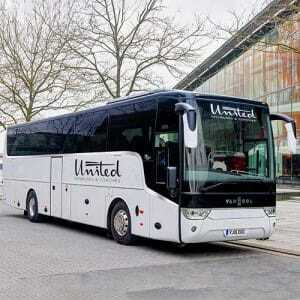 As one of the top luxury coach hire in Brightoncompanies, we guarantee to get you there in luxurious style. We have well-equipped up-to-date minibuses with leather seats, arm rests, reading lights, seatbelts and CCTV for your protection and comfort. We have also equipped our fleet with refrigerators, USB connection points, flat screen monitors and CD/DVD players for your entertainment. 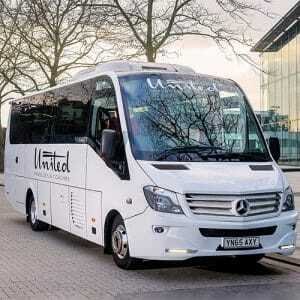 When you’re visiting the Brighton area, United Minibuses and Coaches are proud to be your number one of minibus and coach hire company to take you to your destination. There are lots of great attractions in the local area, and here are just a few that you might want to visit with us. The Royal Pavilion – this spectacular former Royal Palace is a truly flamboyant day out to discover the history and heritage of this Regency beach resort. The SeaLife Centre– old and young alike will love to discover an underwater world of sealife at this iconic animal attraction. See rare fish species and get up close and personal with a wide range of marine creatures. The South Downs National Park– get out into the great outdoors and discover the South East’s most stunning countryside. With famous landmarks including the Seven Sisters, this gorgeous national park boasts some spectacular panoramic views. Gatwick Airport– one of the biggest airports in the UK, Gatwick is the best starting point for your journey whether you’re travelling for business or pleasure. American Express Community Stadium– the home of Brighton and Hove Albion, this is a must-visit spot for any football fan. Get a ticket and watch a match in this impressive stadium. Discover Brighton and its surrounding area with United Minibuses and Coaches. Hire one of our luxury coaches and minibuses and enjoy trouble-free travel. Contact us now and find out more about our coach hire in Brighton.